Eliminate uncertainties and doubts from your test results with a reliable signal source. Review the fundamental specifications of signal generators and how these elements can help you select the right instrument for your needs. 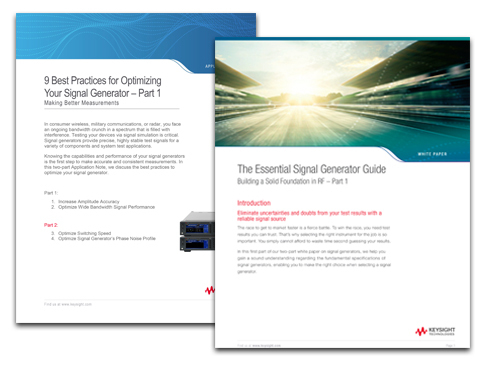 Then learn nine tips for optimizing your signal generator to ensure you are getting accurate and consistent measurements.